We have a sponsored giveaway by SaND for Soapaholics. SaND for Soapaholics is a brand which makes natural and handmade beauty products. One winner will win the hamper shown in the pic below. To enter the giveaway follow the Rafflecopter rules. Please read the terms and conditions before taking part. - 1 winner will win SaND for Soapaholics shampoo scone and Hair and glory conditioner. -Winner will be selected randomly. - Winner should contact within 48 hours to claim the hamper otherwise another winner will be chosen. - This is a sponsored giveaway and am responsible only for holding the giveaway. HAMPER will be sent by SaND for Soapaholics team and not me. - Giveaway is open to Indian residents with a valid Indian postal address. 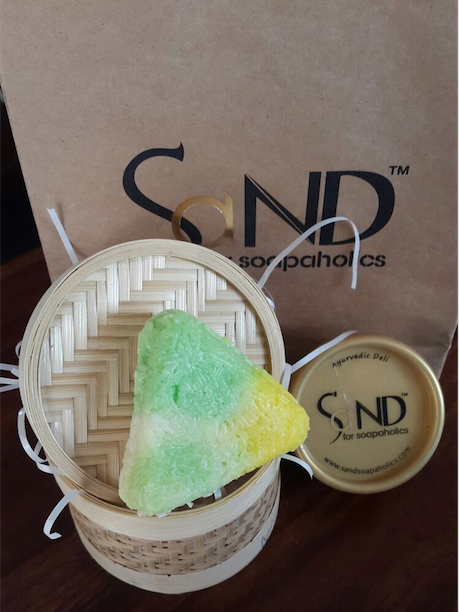 So what are you waiting for, take part in the giveaway and stand a chance to win this awesome hamper from SaND for Soapaholics. You never know, you might be the lucky one to win the hamper.